It won’t be new information to hear that social media is ever-changing. As we kick off a new year, many of our clients are asking what’s new for 2019, so we thought we’d get things down in writing and share some of the key things to focus on. 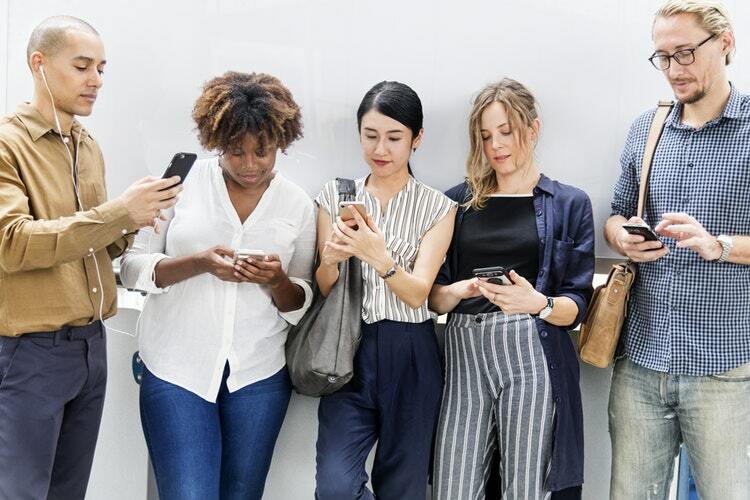 Using data from Hootsuite’s annual report – which surveyed more than 3,000 small and large businesses at the end of 2018 – we’re going to take you through the 4 biggest social media trends to watch out for in 2019. Start implementing them now to give your business the best chance of flourishing online. 2018 was a devastating year for the relationship between social media users and social media platforms. Between the Cambridge Analytica scandal and Facebook’s congressional hearing, social media giants are under ever-increasing scrutiny when it comes to their security and transparency, leaving many users (60%) feeling like they can’t be trusted. This creates both challenges and opportunities for the year ahead. Smart brands are focusing not on reaching the maximum number of users, but on creating transparent, quality content for a carefully selected target audience. Human engagement helps to create communities, building trust between brand and buyer. Data from the consulting firm Block Party reveals that Stories (the temporary videos and images invented by Snapchat, and since adopted by the likes of Instagram and Facebook) are growing 15 times faster than normal feed-based sharing. In fact, Facebook’s chief product officer believes that Stories are set to surpass feeds as the primary way we share content within the next twelve months. For brands, this means a huge shift in the way you create and share social content. Stories are fleeting by nature, meaning anything you put out must attract immediate attention. However, it also means you can be a bit more creative and a little less rigid. The likes of The Guardian have found that less polished, more realistic Stories perform better than heavily edited ones with lots of call to action. We’re in a pay-to-play era of social media, meaning if you really want your brand to stand out among the most popular, you’ll need to fork out for ad space. Where once ads were an advantage you could take to guarantee increased interest in your business, now they’re a necessity, and the competition is constantly on the rise. To keep up with, brands are having to put just as much attention to detail into their ads as they would their feeds. You need to be just as charming, just as creative and just as accessible in your ad campaigns to avoid being seen as another ‘spam’ company. Ads that are personalised and entertaining, like recent efforts from Spotify and Netflix, can boost your business’s profile significantly. Across the board, users are spending more time messaging and less time sharing on social media. In fact, the top messaging apps (Facebook Messenger, WeChat, QQ, Skype and WhatsApp) have almost 5 billion combined monthly active users — more than the traditional social network sites have worldwide. This shift from public to private communication means things are also changing for brands. 9 out of 10 consumers would like to use messaging to communicate with businesses, according to one US survey. But this is different from simply bombarding users with ads and calls to action via messengers. Smart brands should be using these platforms for more high-value conversations, setting up bots for FAQs and using message services to streamline customer service queries. Need support with your company’s online presence? Why not drop us a line here and find out how we can help you get yourself heard above the noise on social media.